Grand Craft Boats. There Is Hope! If you think that the world is all now made up of plastic and gigabytes, then you are about to be very pleasantly surprised. OK , not that surprised. 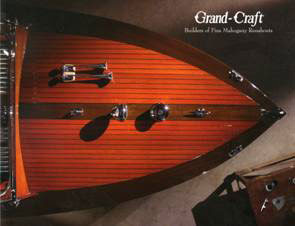 After all Grand Craft boats has been around since 1979. You know, the 70’s, when the world was becoming all lime green. I Was Bound To Happen. A Classic Boat End. Pay Off Your Student Loan? Or Buy A Classic Boat? Silly Question.